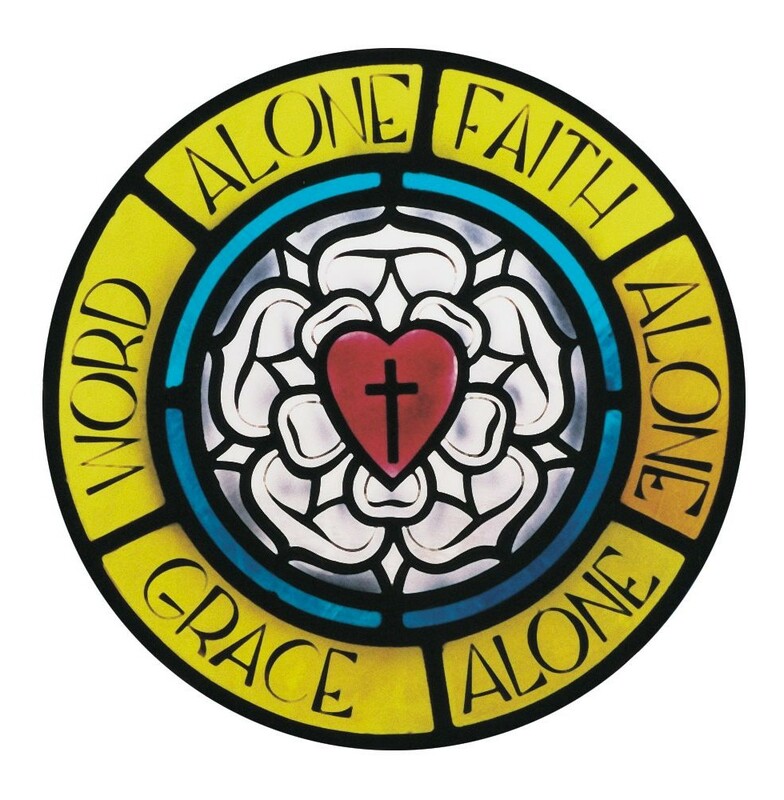 On this Sunday, we observe Reformation Sunday. You may recall that it was on Oct. 31, 1517, that Luther nailed to the door of the Castle Church in Wittenberg the 95 theses, the 95 points he wanted to discuss within the church. When Christopher and I were in Germany, we saw where he did this. The actual date of Oct 31 as the Memorial Day of the Reformation goes back to a decree by the Prince Elector of Saxony, Johann Georg II, in 1667. Previously, the Reformation as a historical event was commemorated on different days, such as June 25 (the day of the Presentation of the Augsburg Confession) or on the birthday of Martin Luther (Nov 10) or on the day of Luther’s death (Feb 18). In our present time, Oct. 31 is a legal public holiday in seven states (out of 16) in Germany, and—surprisingly—in Slovenia and Chile. Celebrating Reformation Day in the U.S. and Canada is not easy because of all the various Halloween rites and customs. On Oct 31, 1517, one dude changed history. But at the same time, this is not Martin Luther Sunday. Looking at all the events of what we have come to call the Reformation of the Church, it’s not about Martin Luther; it’s not about the Ninety-five Theses. Rather, this is what it’s all about: The Reformation Is All about the One Truth in Christ Instead of the Many “Truths” around Us. It’s All About THE Truth. Now the question may come to your mind: Why celebrate Reformation at all? The Reformation is not in the Bible. It is so different from all the feast days of the Church. Christmas—the birth of Christ. Easter—Jesus Christ’s resurrection. Pentecost—the Holy Spirit gives God’s people true faith/the birthday of the Church. And then we come to the Reformation. Luther did this; his friends did that; Luther said something; his friends agreed. We ditch the pope. That doesn’t sound like something for which we dedicate a Sunday. But what happened is worth remembering here on a Sunday. When Father Martin issued his ninety-five-item call to the Church, he was challenging Christians, not just the high and the mighty, like the pope and the bishops, he was challenging all Christians in the Western Church to come back to the source of faith and hope: the Word of God, the Bible. Admittedly, at the time, the Church was “doing fine”—if your standard is numbers, wealth, power and influence. When we look back at the Castle Church in Wittenberg, it had thousands of visitors a year. They conducted no less than nine thousand masses a year—you heard me right: nine thousand. That provided a sizable income for the clergy. But even more so, people received assurances there for the quick release from purgatory both for themselves and for their family members. (Referring here to Indulgences.) It was a good deal all around, and of great economic benefit to the city. And here came this monk and he said . . . Well, what did he say? Father Martin did not say: Don’t listen to the Church; they really don’t have anything to say anyway. Luther said, preached, and wrote, “Let’s fix things and get back to the source.” And the source of faith and for Church doctrine is the Word of God, the Holy Scriptures. (Luther Movie) Jesus said: “If you abide in my Word, you are truly my disciples” (v 31). And how did Jesus’ listeners respond? “We are offspring of Abraham” (v 33). They said, in effect: We have no need to rely on the words of anyone else; we are proud of being descendants of this great prophet. And at Luther’s time, the response of Church leaders was simply this: You keep out of this, Martin; we know best. And today? We have folks in this country who base their salvation this way: “I’ve been a member of the LCMS all my life.” But what about your faith in Christ or your faithfulness to God’s Word? Because that is what the Reformation events were all about. That is what the celebration of Reformation Day is all about. It was about recovering the hidden, the falsified, the changed, and ignored Word of God. And here (show the Bible) you have it. All of God’s mercy, packed in words, and the whole Jesus Christ, crucified and risen for you, speaking to you His full message of repentance and salvation. This, my brothers and sisters in Christ, is THE TRUTH. But look around these days. We live in an era where there are many who teach and believe that there is no such thing as Truth. There seem to be—even in the Church—so many different views, opinions, philosophies, and convictions that others begin to ask: What does the Christian Church stand for? What does it teach? Many times, when I have a Sunday off, I go to another denomination’s church to see what is going on out there. It is shocking how little I hear the Gospel at other Churches. (I have visited probably 20 other churches. I heard the Gospel twice.) Jesus said, “If you abide in”­—listen, it says; stick to, remain with, hang on to—”my Word, you are truly my disciples.” The best medicine prescribed by the doctor will be of no use to you if you don’t take it! I didn’t make this up; Jesus Himself says this and issues this invitation: be in His Word! How many Baptisms have taken place in this parish during your time here? And yet, do you see all of those folks sitting here in the chairs with you? How many confirmands have vowed their faithfulness to Jesus Christ and their loyalty to the Church at this altar. Where are they now? Obviously, some folks moved. This is Edmond, after all. Some are in college. But that’s not everybody, and people (brothers and sisters) leaving the faith—that’s the tragedy every pastor and every congregation faces. And how do you stick with it; how do you “abide”? Here is where I tell you the importance of Christian education, catechism instruction, and regular worship attendance for our Christian faith. Remember the second half of the Great Commission: “Teach them to observe all that I have commanded you” (Mt 28:20)? It is a threat to your spiritual survival to disregard the Word of God or to separate yourself from it. Be here for worship. Come to a Bible Study or small group. Read the Bible every day. Get your kids in Sunday School. Jesus said so! Jesus said: “You will know the truth, and the truth will set you free” (v 32). That truth we learned from men like Pastor Luther. And from those following him, including the teachers and preachers in our Church who proclaim the truth of Jesus Christ. And that truth says: You cannot free yourself from what you are. We are sinners and we cannot save ourselves from hell. Jesus’ death and resurrection did that. Jesus Christ, God’s truth, is the truth that frees us. “I am the way, and the truth, and the life” (14:6), Jesus said. What a promise! That promise is nothing less than true life, eternal life, life in heaven, life in God’s presence. What do you have to do to get that? Memorize the Small Catechism or Luther’s Ninety-five Theses? Know your way around the LCMS Handbook or The Book of Concord? None of the above! Believe in Jesus. Know He is your Savior. So this day, we are gathered not to celebrate a man—though it is OK to thank the Lord of the Church for His servant Martin Luther. This day’s worship is here for us to praise and thank Jesus Christ our Redeemer for gifting us all our blessings and doing it for nothing, for taking us from captivity in our sins into the freedom of being the children and heirs of God. Today we celebrate that we have the Bible, we have God’s Word, we have the truth, and yes, it sets us free.